These are a direct upgrade replacement for your stock bulbs. They will give you the Xenon HID look with out the expensive price. Easy Installation - (just remove your old bulb and plug these in the place of the old bulb.) No tools required. Be careful not to touch the galss part of the bulb. Easy Instillation plug and play no toold needed. They come with Free T10 leds park lights with 4 leds per bulb. 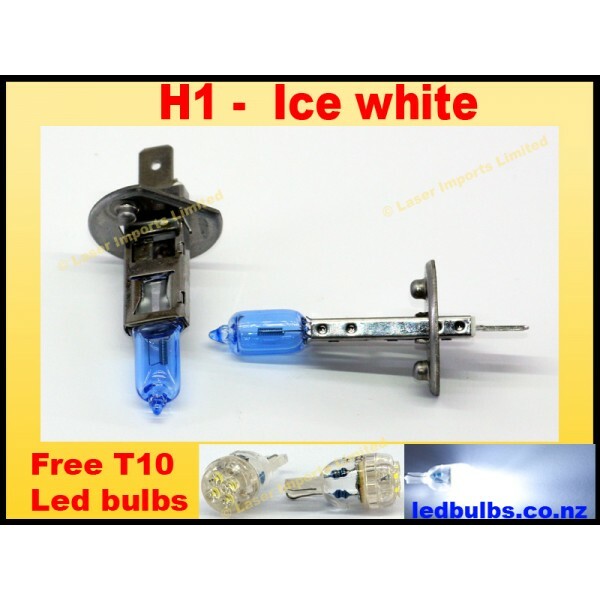 Now your new ice white head light will match your park lights so you can replace that dull yellow park light as well. 95% of Japanese car use T10 style park lights. To install the park lights remove your old bulb and put the led in the place, if it does not work take it out and spli it 180 deg and put it back in. No toold required. Note: The Led park lights are free and can't be exchanged for credit or swapped.